For nearl than 40 years, Harlan Terson has played and recorded with the worlds great blues artists, from Lonnie Brooks to Otis Rush. He is also a professional instructor, teaching raw beginners as well as more seasoned players. 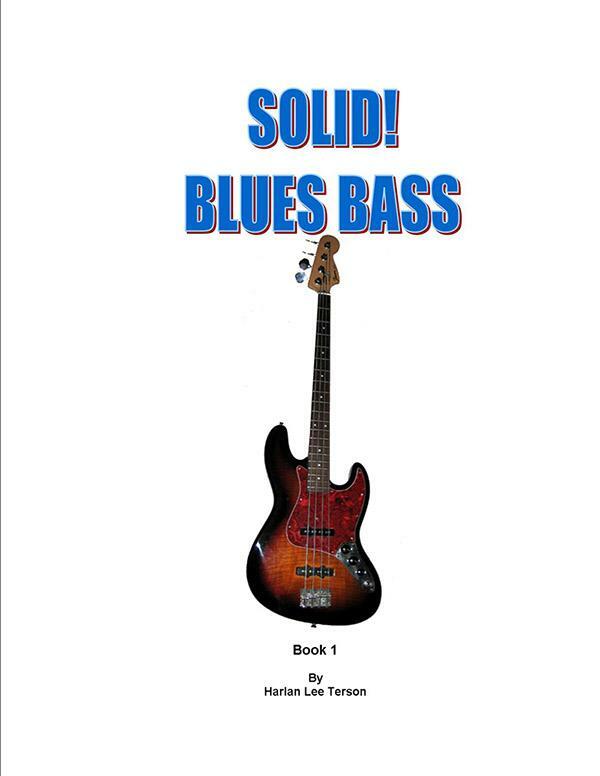 This experience is now distilled into an easy to follow guide for the aspiring blues bassist. Like many forms of American music, the traditional electric blues of the 50's and 60's has become an endangered species, increasingly replaced in clubs and recording sessions by a more high energy rock sound. As the older blues musicians pass on, the younger players coming up the ranks do not have as many opportunities to be mentored. If they are lucky enough to hear the older recordings, they may find that the "old school" style is worth pursuing. This text can be helpful for such players and students. Originally conceived for classes and private students, this practical guide for blues players is now available for download here. This approach is presented in sections. They can be studied together or separately. Students can work on techniques and positions that have been developed through years of live playing and personal observation, as well as concrete examples of various blues styles. Included are chord shapes, exercises and positions based on those shapes, shuffles, slow blues, funky, eight bar, minor, rhumba, and more, as well as transcriptions of recorded performance.